What Did John Bunyan Believe About Head Covering? 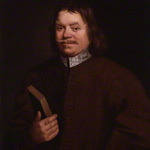 John Bunyan (1628-1688) was an English, Baptist, Puritan author and preacher. He is the author of more than 60 books but most famously known for his classic novel, “The Pilgrim’s Progress“. Bunyan’s writings share the same clear and direct style as his immensely popular sermons, which were known to draw crowds of around 3,000 individuals on Sunday. In 1683 Bunyan published a tract entitled “A Case of Conscience Resolved” dealing with women who segregated themselves and were gathering together privately for worship (with no men present). He was asked for his opinion on this practice and to respond to a Mr. Keach who permitted and defended these womens meetings. In his tract John Bunyan expresses disagreement with the practice and lays out a case for why worship must be men and women together, with men taking the lead. Near the end of this tract John Bunyan refers to 1 Corinthians 11 several times and sheds light on his understanding of head covering. Bunyan saw a parallel between the angels in Isaiah 6 and women in worship who both veil themselves in the presence of God. Bunyan continues on with several comparisons between women and angels. Just as angels do not approach the mercy seat to speak to God, women do not speak in church meetings (1 Cor 14:33-35). Just as angels cover their faces in Heaven, women cover on earth. Just as angels are inferior 4) Websters 1828 Dictionary has the following definitions for ‘inferior’ in addition to lower value 1. Lower in place. 2. Lower in station, age, or rank in life. Pay due respect to those who are superior in station, and due civility to those who are inferior. to God, women are inferior to men. He then appeals to 1 Cor 11:10 for support not only because angels are present in worship but also because they are like women. Bunyan exhorted women to cover “in all matters of worship” which he understands as when the church corporately meets together. He said this was to be done “to the world’s end” showing that he understood this practice to be ongoing and permanent. Just as the womens pain in child-bearing never ends, so also is she to worship in silence and with a covering forever “whenever the church comes together to worship”. Bunyan saw the covering as a “token of her shame” which he connects to Eve’s disobedience in Genesis. ↑ Websters 1828 Dictionary has the following definitions for ‘inferior’ in addition to lower value 1. Lower in place. 2. Lower in station, age, or rank in life. Pay due respect to those who are superior in station, and due civility to those who are inferior. 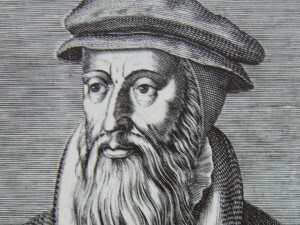 What Did John Knox Believe About Head Covering? As a male, I find much of this to be fairly outlandish. Women are inferior? They are to wear a badge of shame for their disobedience? Yet man, in spite of his disobedience is allowed “much admittance to liberty and boldness with God, a thing denied to the women” ? This seems unBiblical at the very best. If by inferior he meant “less than” I’m with you. In the footnote I quoted a 1828 dictionary that had a few meanings (two of which didn’t carry that notion) and even that is 200 years removed from this writing. As I’m sure you know, words can change meaning quickly. I’m giving him the benefit of the doubt on that matter. Great stuff! Thanks for sharing! Love to hear what historical Christian leaders had to say on the issue. John Bunyan is awesome – I’ve loved reading about his life and ministry in the past, and he has great stuff to say here too. As a woman, I see nothing insulting about this. We in the modern church have often been taught feminist interpretations of Scripture, but the Bible is unapologetically non-feminist. I don’t really find it insulting, but I don’t see it as scriptural either. (the inferiority, and shame part) Paul appeals specifically to Godly order and submission. He says it’s a shame for a woman to be uncovered when praying or prophesying, but never says they should cover *because of shame. There is a difference. The deception of Eve is not mentioned in this passage, although it is referenced in the admonition for women not to teach or have authority over men in the assembly. If sin were the reason for covering (his inference) then men would have to cover too. Adam’s sin was no less. If by inferior he means “less than” that is insulting and non-scriptural. But, I’m OK to say that inferior may have had a different meaning. The Bible certainly isn’t feminist, but it doesn’t support the degradation of women either. Jesus treated women with dignity and respect, and not as someone that had less worth than the males around him. I like the idea that women are to cover their heads as angels cover their faces in worship — but don’t get the shame aspect, as someone already alluded to. Shame and condemnation have been dealt with in the atoning sacrifice by Christ — and where as Eve was deceived, Adam was not — so the idea that Eve would face added shame while Adam is free before God doesn’t make sense to me. NO WAY! You mean to tell me that in 1683 women were actually gathering together privately for worship with no men present! Wow! That’s scandalous! I had no idea that kind of debauchery could be traced back to the 1600s. No wonder Paul Bunyan had to write his article. And there was another guy, Mr. Keach was his name, that actually DEFENDED these women’s meetings. Yikes! Mr. Keach was clearly some sort of heretic. Can you imagine defending such a thing? I’m so thankful Paul Bunyan did his part to try to put a stop to such outlandish and scandalous things as women gathering for worship with no men present. I know one thing, I certainly wouldn’t let my wife do something like that. What is this world coming to? Secondly, there is certainly biblical precedent for female-only worship gatherings. Ministry to incarcerated women, for example. Or the woman-to-woman teaching in Titus 2. Thirdly, it sounds like Bunyan would have a problem with the Elect Lady of 2 John, who is clearly a woman in position of spiritual authority. The Lord Jesus looked to Father for all things ( john 8:28), this is the model of the relationship between man and woman in Christ(1cor 11:3). A head covering in the assembly should be as normal as baptism as it is put forth in scripture as a visible sign of obedience witnessed by angels. Scripture tells us that when a woman prays uncovered she dishonours her head, and puts forth neither all female nor all male church meetings as spiritually beneficial. Fair observation Colin. Here’s a little pushback though. 1) A face-veil does not have to be something like a burqa. Here’s one (modern) example. http://sangmaestro.com/wp-content/uploads/2014/11/wedding-veils-over-face.png I’m not familiar with what coverings looked like in his time, but there’s always the possibility it may have veiled the face and not been something like a Burqa. 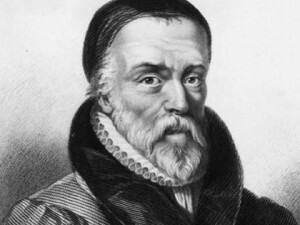 2) If you have a hard time believing that Bunyan was advocating a face-veil, isn’t it just as hard to believe he was telling women to pull their long hair over their faces? 3) The “long hair” view was not held by anyone during this time. Though it would a reasonable interpretation of Bunyan if he lived in the 21st century, it’s hard to believe that’s what he was saying when the view didn’t exist at this time. So he could be echoing the previous paragraph where he told the women that they “should be content to wear this power, or badge of your inferiority”. In other words, your hair isn’t to show off, it’s to be covered with a sign of shame and silence. It’s just hard to believe that Bunyan is telling women that they should be “content” to wear long hair. I think there’s also other indications in this section that show he’s speaking of a removable covering. Having said that, I’ll grant you that it’s not crystal clear. It is crystal clear that he believed it was a command for all women in every age, but the identity of the covering is not as clear. Sorry – but I find this commentary demeaning. Do I understand this right, it is a sign of my shame? And I thought Paul was speaking about covering my head, Bunyan is writing about veiling my face. So I, as a woman, am not allowed to behold the glory of God with an unveiled face? ??? Ok, I get that and I actually read the disclaimer. Still I find this problematic. I have come a long way from a very feministic worldview and want to learn and be transformed (by the renewing of my mind…) but reading that does not help! It just supports old prejudices i formerly had. Believers from hundreds of years ago are men of their time. Certainly, women did make contributions, but by and large they weren’t important enough to remember in any meaningful manner outside of having been recognized as a saint by the Roman Catholic Church (which was only reserved for the exceptional). In the past, the various church leaders did seem to use veil and head covering interchangeably – some preferred that a woman’s face to be hidden and made it clear that was the case. So we have read the letters carefully to discern when they say “veil” meaning “head covering” or “head covering” meaning “veil”. Men of the past only had their cultural predisposition of a bias against women and scripture to go on – and scripture can be interpreted in two ways – to bind and to free. If people want to read it as “binding” then that’s what they’ll see. If people want to read it as “freeing” then that’s what they’ll see. Ultimately, there is a lot of confusion and the modern voices aren’t making things much clearer. Just remember what scripture says – the letter of the law kills, but the spirit of the law brings life; as long as you search for the spirit, you’ll find the truth of it somewhere. 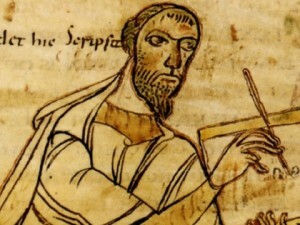 But also remember that church fathers are people like we are and are not examples of perfection, their words, their perspective is meant to helps us understand how they saw it then, it’s not meant as a principle to be true for all time. Maybe I misunderstood you, Jamie, but general laws of grammar dictate that a command to DO something is binding (rather than “freeing”) by nature, regardless how we want to interpret specific teachings. Perhaps you could elaborate on what you mean by “freeing”…? I was referring to 2 Corinthians 3. Gotcha, thanks. So to logically follow through, would it be your premise that there are no physical applications that are binding upon Christians under the new covenant? Or at least just none that would fall into the non-salvific category? I was taught that there was nothing one could do to earn their way into heaven or save themselves; so I tend to stick with the red letters – ‘love God’, ‘love your neighbor’, ‘do this in remembrance of me’; Jesus is the example I ought to follow to the best of my abilities. If you mean that I have to wear or not wear something or pray a certain number of times a day or do something a certain way or else I sin – I don’t believe that. God gave believers considerable leeway in how things were done, no two churches were ever clones of each other. That said, I understand that I come from a non-denominational background, what you mean by the terms of the new covenant and non-salvific could be entirely different than what I was taught they meant. New covenant – salvation through the blood of jesus christ, rather than by any merit of obedience such as under the old law, circumcision, etc. New Testament, era if you will. Non-salvific – issues that our salvation (or the maintainaning of it) is not dependant on. Perhaps I could rephrase the question if you’ll forgive my theological terms. As we look at things in Scripture that are taught to “do”, like water baptism, or veiling, or take your pic, is it your premise that a saved Christian is never commanded to “do” anything, even though the action of doing or not doing that particular things would not necessarily affect their salvation? I will not invalidate the salvation of those who died minutes after accepting Jesus but were not able to take communion or be baptized. In that sense, not having communion or baptism doesn’t mean that God thinks any less of those who died or he that would have liked them more had they done these things. To me, these rituals help those that need them, but not everyone does. It take a lot of faith to both do something and just as much to not do something. “Belief is not a matter of choice, but of conviction.” If your beliefs convict you into doing things, then don’t let me stop you. But understand that my beliefs tend to convict me to rely on my faith alone and not actions. I don’t always see things as “either / or” but I always look for the “both / and” Which is why I hold that head covering is optional for women. “I will not invalidate the salvation of those who died minutes after accepting Jesus but were not able to take communion or be baptized.” I apologize if you got that from my comments. Didn’t mean to suggest that in the least. Without meaning to sound snippy at all, does that mean you would answer my question with a yes? You just made it sound that a believer was somehow less if they had never been baptized or taken communion or veiled or take your pick of anything. I think it’s dangerous for people to try to decide what is right for others. My friend is Catholic and her culture celebrates The Day of The Dead, I don’t understand the reasons, but I respect them. Same goes for veiling, I don’t understand the reasons, it doesn’t seem to make people “more saved” or “less saved”, so I won’t require it of those around me. If they choose to accept it, then that’s their right, as is their right to not do so. If there’s a believer who has a phobia of water, I won’t require immersion baptism. If there’s a believer who can’t eat bread or chooses to abstain from wine, I won’t fault them. I don’t think there’s a general rule that applies to absolutely everyone because there always seems to be exceptions to the rules. Thank you for clarifying. I am admittedly curious, though, does your relativism extend to all aspects of the Christian faith, or are there a few absolutes that apply to all believers? Is that where the red letters come in? I take the relationship aspect of Christianity to be just as important as it’s religious nature, it’s not up to me to decide how people relate to people they know nor should I tell them how to worship God. I’ve always believed that people should find whatever works for them and to stick with it, but it’s not quite right for them to enforce their Christianity on everybody else as we’re all different and what works for them likely won’t work for everybody else; it might work for some, but not all believers everywhere. A good example, I think, is Lent. Many take it quite seriously as a time to focus on God. My church never taught that. It’s not biblical, it doesn’t affect salvation, some might even call it ‘extra’ but if it helps people it helps, then it helps them and that’s a good thing. Like me though, there are lots of people out there who have never gone through the whole nine years and we’re not hurt by not doing it, so I don’t see the harm either way. But exactly that the church fathers were “men of their time” makes me a little nervous – because so are we! How dare I say ‘okay, the point of view we have now on men&women – equal in worth&value etc (not exactly what Bunyan says here…) – is the right one. Maybe the ‘women rights movement’ wasn’t so right after all, with the right for women to vote, to work, to gain access to education… I read a lot about the most important task for women – being a good wife and housekeeper, raising the children – so why then do I get a college degree? Am I then not missing God’s plan for me (or women in general)? Where is it written that the most important task for women is to be a good wife, housekeeper, and raising children? What of the women whom God made barren and incapable of having children? The most important thing for anyone, men and women alike, is to believe in Jesus. Jesus himself said that he came to turn family members against each other (quoting from Isiah, I believe.) And that those who left their family behind for the sake of the gospel would be rewarded by having the family of believers to take their place. There’s an old saying, “Give a man a fish, he eats for a day. Teach a man to fish and he eats for a life-time. Teach a woman to fish and everyone eats for a lifetime.” We do live in a changing time where one-income families aren’t able to live as well as they did decades ago. It take two-income families to break out of the cycle of poverty and to give their children their best chance to keep from returning to poverty. If you can guarantee that you’ll never need to work, that the economy won’t turn for the worse, that your house won’t lose it’s value, and that your spouse will never lose their job, then certainly you won’t need a college degree. But if you do need to work, then you should get a degree to give yourself the best possible chance of success and the best rate of return on your investment in yourself for your future. My state recently ran an ad stating that 50% of all jobs now require a college degree. By not having one, you’re eliminating 50% of all potential jobs and certainly all of the best paying ones. One thing I know about God, is that women aren’t interchangeable. Elizabeth couldn’t do what Mary did. Mary Magdalene couldn’t do what Martha did. No two women had the exact same story. There isn’t one plan that’s true for all of us, because it’s cruel to demand that all women have children and make some women incapable or the process of having children fatal for the mother. Think about the women in recent history, Helen Keller, Clara Barton, Mother Teresa, Marie Curie and the women in your own life. If you remain open to God’s plan, he can do great things through you and for you. It might include having a family, it might include making a contribution that saves families. Your story is your own, you’re not going to miss out on it … you’re right were God wrote you to be at this very moment.